Designed to keep your wrists and arms in a natural, fatigue minimizing position while moving a load. Solid steel construction can handle loads up to 4000 lbs. Large 8 x 2" diameter casters facilitate easy moving. Blue baked-in powder-coated toughness. 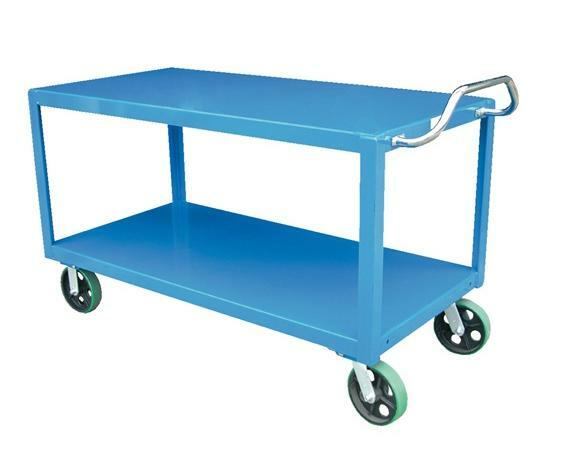 Mold-on rubber & polyurethane casters available. Optional Floor Lock available (see Related Items tab). FOB Shipping Point. 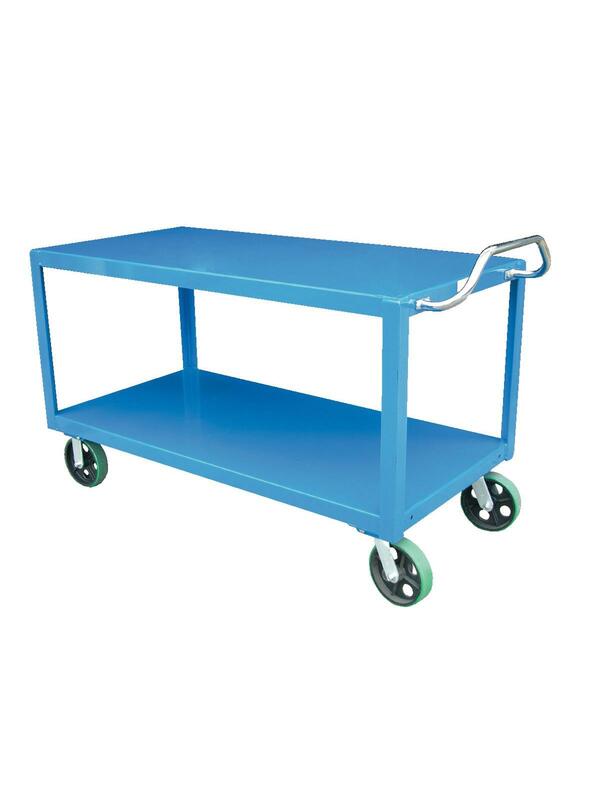 See Related Items tab for Floor Lock for Ergo-Handle Cart. W x L 24 x 36" 24 x 48" 24 x 60" 24 x 72" 30 x 60" 34 x 48" 34 x 60" 34 x 72"